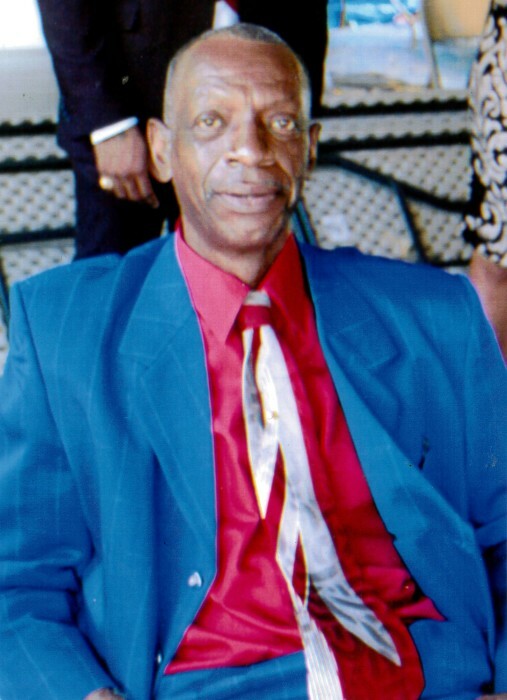 Deacon Niles S. Daniels was born on November 14, 1951 to Voncile Huffman (deceased) and Clarence D. Daniels Jr., in Walton County, Florida. He is the 3rd child born to this union and being a fraternal twin to Miles Daniels. On January 20, 2019, God placed in his loving arms and spirited him away from his home in DeFuniak Springs, Florida. Niles was educated in the Walton County Public School System and Barkerdale High School in Shreveport, Louisiana. He was a proud member of the class of 1969 at Tivoli High School from which he graduated. Niles was united in holy matrimony to Belinda Daniels in August of 1972. They were married for 46 years until God called him home. He was a faithful member of Union Springs Missionary Baptist Church for many years until his health lead him in another direction. In his early years, he worked with various jobs that lead up to his career as a Maintenance worker at AAFES, Eglin Air Force Base, Billy Wilson Electrical Company in Fort Walton Beach, and Watercolor in Santa Rosa Beach. After retiring, his work continued in the community and surrounding areas. The most notable was being honored with many awards for his dedication and commitment to his work. His enjoyment was playing dominos, cards, and shooting horseshoes with many of his friends. Niles is preceded in death by his mother, Voncile Huffman and step father Willie Joe Huffman. Leaving to cherish him in memory, his devoted and loving wife of 46 years, Belinda Campbell Daniels and his father Clarence D. Daniels Jr., of Twin Lake, Michigan. One son Roderick S. Daniels (Rochelle) of Arlington, Texas; Three daughters, LaToya Y. Daniels and Porcha D. Daniels of DeFuniak Springs, Florida, and Alicia Daniels of Newton, Georgia; Six sisters, Pamela Powell (Ernest) and LaShunda Huffman both of DeFuniak Springs, Florida, Avis Huffman of Fort Walton Beach, Florida, Rhonda Daniels, Ivy Renee Daniels, and Janeen Daniels all of Twin Lake, Michigan; Three brothers, Miles Daniels of Atlanta, Georgia, Ronald Daniels of Twin Lake, Michigan, and Vincent Huffman of DeFuniak Springs, Florida; One aunt Willie Jean Roulhac of DeFuniak Springs, Florida; One sister-n-law, Shirley Baker of DeFuniak Springs, Florida; Five brother-n-laws, George Campbell (Betty), Burrell Campbell (Annie) both of Detroit, Michigan, James Campbell and Marcus Campbell both of Colorado Springs, Colorado, and Vernon Campbell of Pensacola, Florida. 10 grandchildren; Brenesha Daniels, KaDiyah Nelson, Kobe Daniels, JeRiah Hall, Alexa Singletary, Akaela Daniels, Lyrique Peterson, Kilee Baldwin, Ashton Strozier, and Kingston Daniels. And a host of nieces, nephews, relatives, and friends. Arrangements and services are under the direction of Davis-Watkins Funeral Home and Crematory.